Following six years of conception and development, Eden Diodati has launched an iconic new chapter in luxury fashion’s narrative. Blending extravagance with considered craftsmanship, founder and creative director, Jennifer Ewah’s groundbreaking designs and philanthropic commitment produce unique garments and accessories that embody the inherent female instinct to reflect beauty, both internally and externally. The collection represents a global collaboration of cultural influences, achieving designs with a stunningly creative edge. They draw inspiration from an artistic heritage that has bound global cultures together for centuries, as well as from the eclectic beauty found in nature. 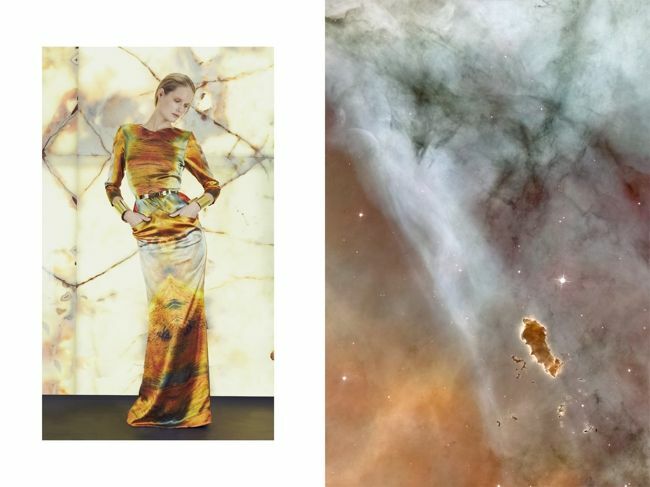 Far-reaching planetary systems and the phases found in botany are the backdrop of SS13. 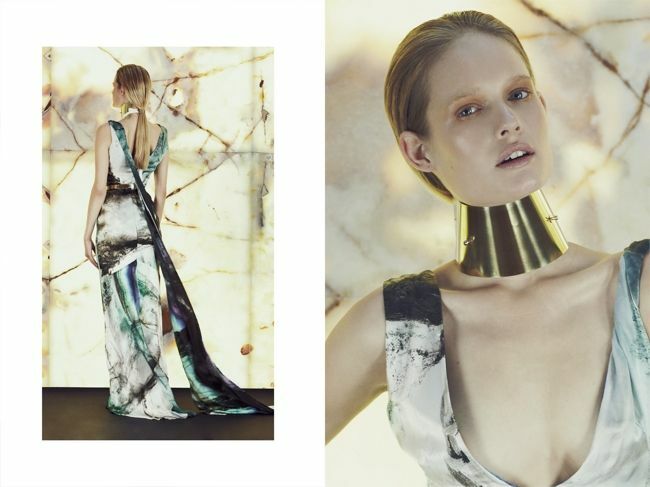 The womenswear and jewellery pulls from gracefully futuristic and primal elements. 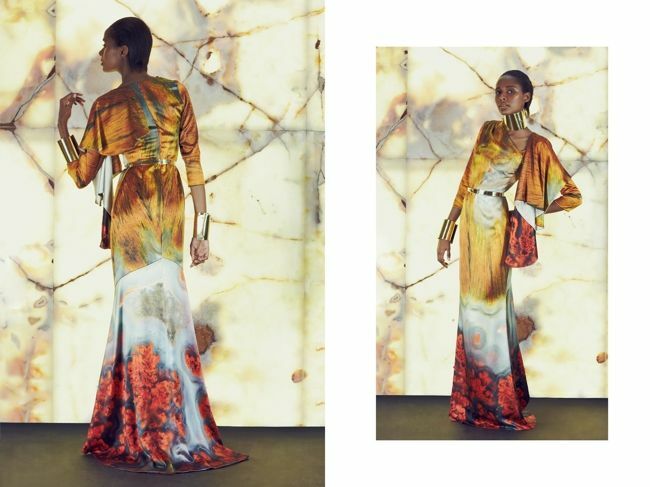 East African-style metal cuffs for the wrist, neck and waist, galaxy motif used in several of the digitally-printed silk dresses infused the collection with a strong femininity. Eden Diodati’s commitment to donate 10% of dividends to Médecins sans Frontières recognises the need to address human fragility on a global scale. These three core principles combine to produce the fourth – Eden Diodati’s vision to create a brand that offers women the opportunity to experience true beauty from a compassionate viewpoint. Eden Diodati supports artisans across the world from Italy to Indonesia, assisting them in building sustainable futures. 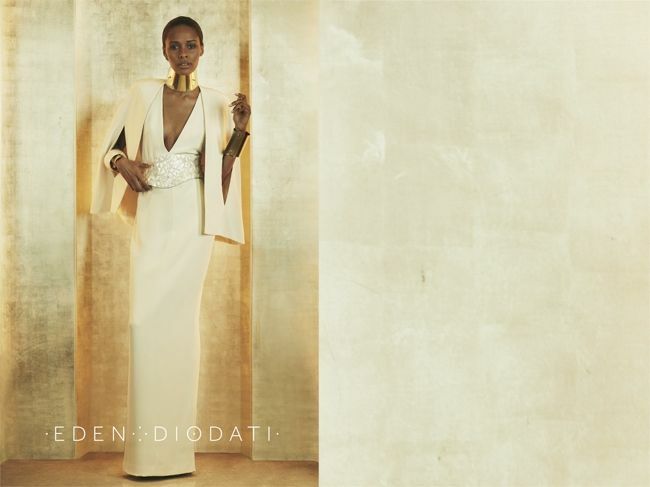 A large proportion of Eden Diodati’s garments are crafted through a not-for-profit cooperative located in Italy. Garment workers at the fringes of society – those touched by physical and mental abuse, trauma and disability – are given the chance to rebuild their skills and lives through their journey. The collection is available for purchase online from their website here. Retail prices range from £399.00 - £3,065.00 for jewellery and accessories, £1,430 - £2,155.00 for ready-to-wear. 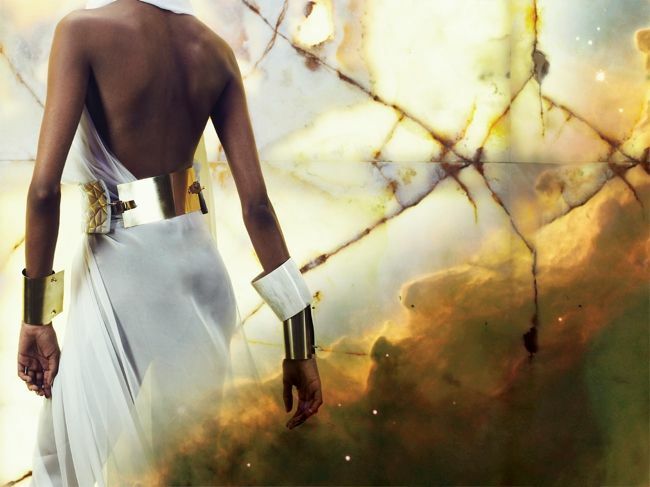 Images courtesy of Eden Diodati. wow the prints on the dresses are stunning!! the whole dresses look so fabulous and graceful! !